Induction cooktops appear minimalist and lightweight, perfect for modern kitchen makeovers, but induction capacity for performing heavy duty tasks shouldn’t be underestimated. Induction cooking zones are responsive and adaptable, able to accommodate cooking vessels of all sizes without emitting radiant heat into the kitchen. The ASKO HIG1944MF hotplate remains cool to touch even while cooking is in progress, thanks to the magic of magnetic induction cooking principles, making this LPG gas/induction appliance worthy of special kitchen consideration. 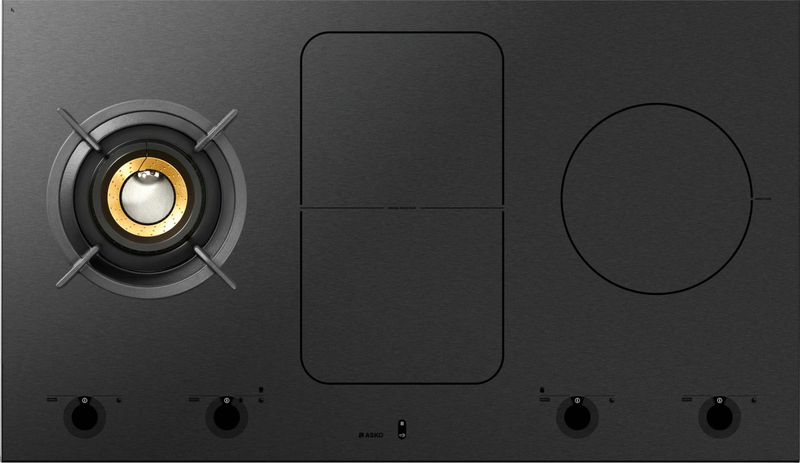 The ASKO HIG1944MF Gas Induction Cooktop is representative of the cooking revolution led by ASKO, where the best qualities of energy are harnessed and combined for enhanced cooking versatility. For example, the Fusion Volcano wok burner, a powerful HIG1944MF LPG gas appliance, can be controlled by smart control principles. The ‘Wok function’ monitors wok heat and provides an audible signal when temperature is ideal for adding oil and other ingredients. This is typical of innovative ASKO solutions that assist beginners to become competent, impressive chefs from the moment they start cooking. What are the ASKO HIG1944MF benefits? The ASKO oven and cooktop range is extensive, enabling home cooks to showcase their individual style preference. 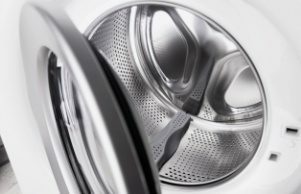 ASKO appliances are powerful, with potential greatly increased when used in tandem with additional ASKO products. 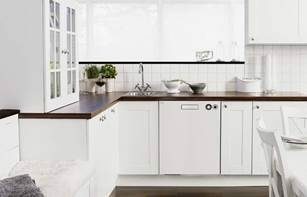 ASKO design enables appliance incorporation into regular cupboard or countertop space, with side-by-side and above-or-below configurations providing visual appeal along with space saving versatility. The ASKO HIG1944MF Gas Induction Cooktop represents the best of progressive ASKO technology for Australian-style living. Is LPG cooking the same as natural gas? The ASKO HIG1944MF and HIG1944MG Gas Induction cooktops are identical, with one exception. The HIG1944MF wok burner runs on bottled LPG gas, whereas the HIG1944MG is hooked up to natural gas supply. 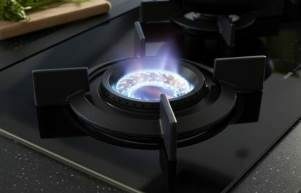 The capacity for intense wok flame is identical in both appliances due to ASKO burner and flame port technology, although there are differences in burner design to accommodate bottled and natural gas properties. The culinary results are equal, with culinary results enhanced by individual ASKO customer satisfaction. For Australians on the move or considering relocating at some point, the HIG1944MF Cooktop is an admirable companion. Weighing just over 21kg, and built with sturdy ASKO engineering and components, the HIG1944MF Cooktop can be easily transported to your new dwelling and reconnected with nothing more than a gas bottle and airtight fittings. 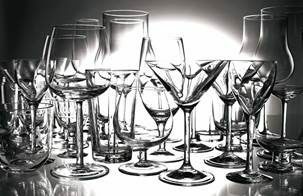 ASKO innovations satisfy the Australian desire for change, adventure, and new experiences. As soon as you are connected and established in your new kitchen, the ASKO HIG1944MF Gas Induction Cooktop is ready for action, with great meals to follow. Can you describe more gas induction cooktop advantages? 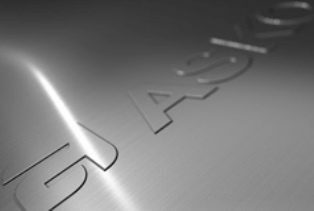 Versatility isn’t a sole function, but when ASKO innovators oversee development, almost every cooktop component becomes multifunctional, serving several cooking purposes or processes at once. Reciprocation between gas and induction methods facilitates effectively staged and timed cooking, with adaptable induction zones further speeding up results. Energy savings soon become obvious, along with a dramatically cooler kitchen experienced during induction cooking without unnecessary ambient heat. 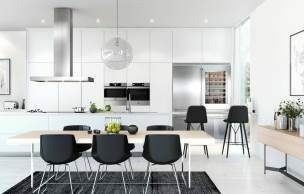 Kitchen adaptability means more cooking options, an essential trait for modern Australian home design where everyone’s individual program for work and school needs personalising. The old-time appeal of family meals isn’t entirely lost, and is quite easy to recapture using versatile ASKO appliances. Whether it’s time for healthy eating options, a Volcano wok fry spectacular, or a combined culinary achievement for satisfying everyone, the ASKO HIG1944MF Gas Induction Cooktop is up to the task and ready to show you how it’s done.